In an effort to really take a moment and appreciate National Volunteer Month, we are paying homage and thanking those who have gone above and beyond the call of duty. Someone in particular who has been an amazing contribution to the Walk With Sally community, is local artist, Drica Lobo. Introduced to Walk With Sally just over a year ago, Drica has become an integral part of our program. 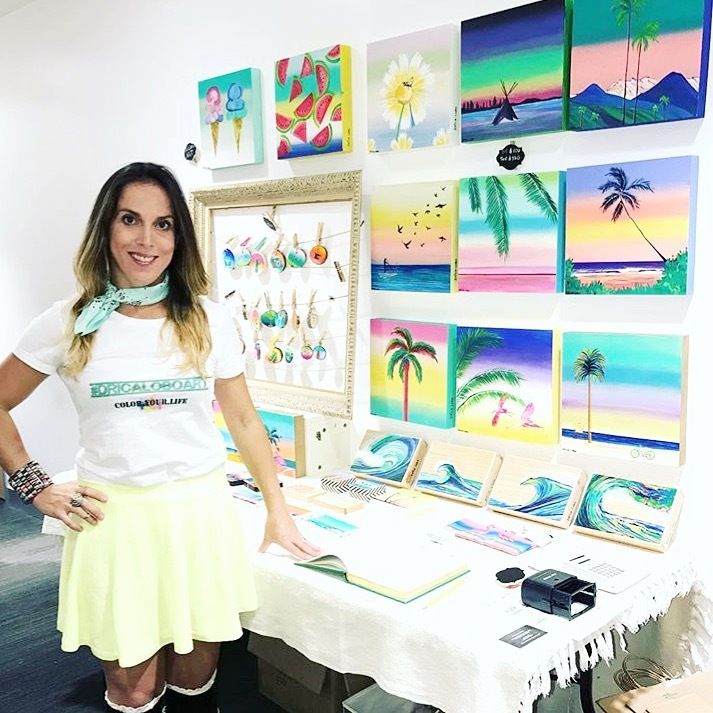 Fusing her vibrant artistry and zest for life, her pieces can be seen often throughout the Southbay. Originally from Brazil, Drica has called Hermosa Beach her home for just over10 years now. Her beach city lifestyle has really influenced her work since moving to Los Angeles. When Drica was introduced to Walk With Sally, she knew she wanted to be involved and felt an immediate connection to the organization and its cause. She knew she wanted to give back in any way possible. Since her involvement, Drica has provided her talents and teaching skills in order to lead multiple art classes for the kids within the Walk With Sally mentorship program. The first time being at The Bay Club in Redondo Beach, when she was on hand for the day during a quarterly Friendship Activity. 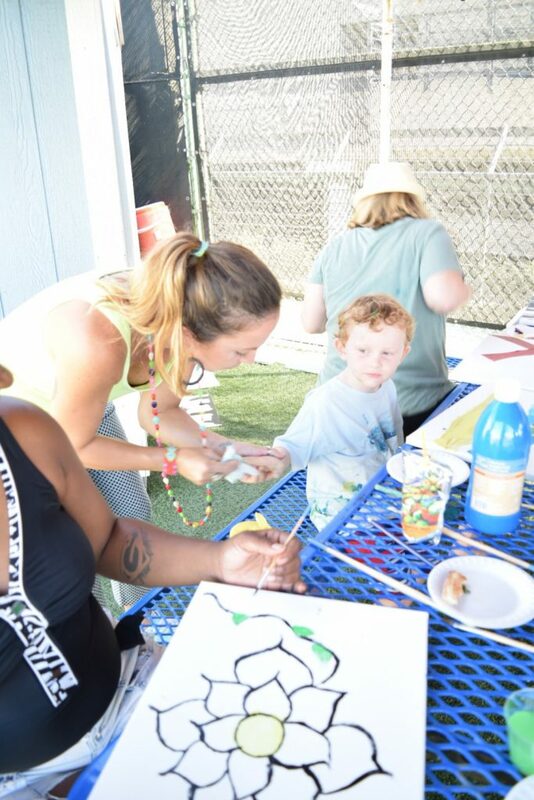 Recently, Walk With Sally launched our new Heart to Home Series which will offer quarterly art therapy sessions free of charge to mentees and their mentors. 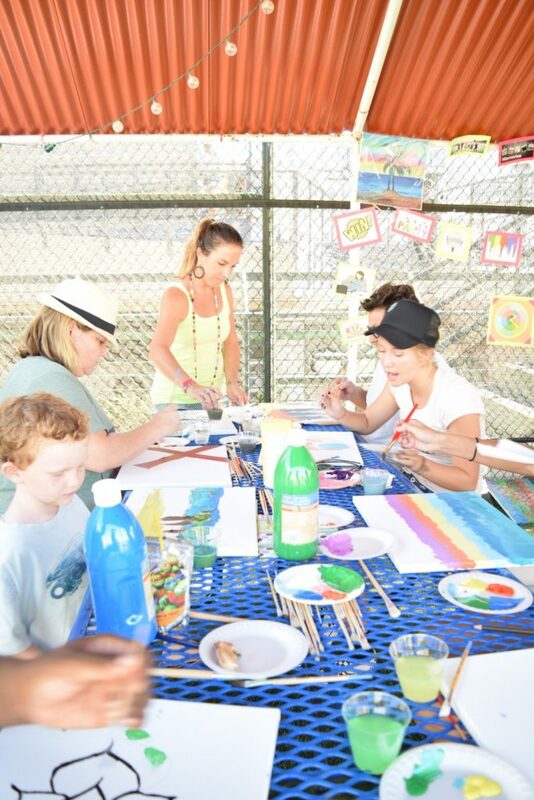 Utilizing art therapy as a mean of further healing, Drica leads the group sessions; allowing the kids to “feel” their way through the day. Attendees are encouraged to participate as, or as little, as they like. The colorful, artistic expression provides an alternative means of emotional exploration. Having Drica on board to lead the activity with her kind soul and creative spirit has made the Heart to Home series an amazing supplement to our mentoring programs. We couldn’t do it without her, and we look forward to everything that is still to come! 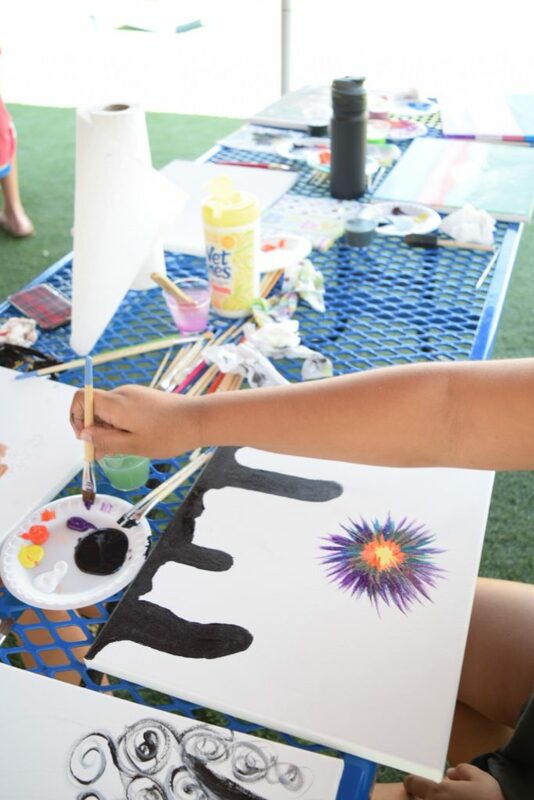 This entry was posted in Press, Recap, Volunteering, WWS News and tagged art therapy, artist, cancer support, drica lobo, hermosa beach, local, los angeles, national volunteer month, nonprofit news, southbay.